You may know us for our processors. But we do so much more. Intel invents at the boundaries of technology to make amazing experiences possible for business and society, and for every person on earth. 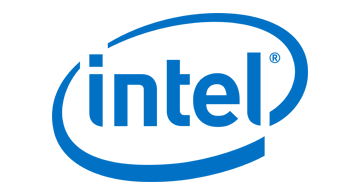 Harnessing the capability of the cloud, the ubiquity of the Internet of Things, the latest advances in memory and programmable solutions, and the promise of always-on 5G connectivity, Intel is disrupting industries and solving global challenges. Leading on policy, diversity, inclusion, education and sustainability, we create value for our stockholders, customers, and society. Hardware-enabled security reduces risk, improves experiences for users, and helps to lower costs. Intel® hardware establishes the root-of-trust, enabling hardware, software, and service providers to innovate and run operating systems, applications, and workloads more securely. By working with our partners, Intel’s hardware-enabled security helps to deliver integrity, reliability, and consistency for billions of connected users and devices. Intel® provides powerful security for identity protection, data protection, and threat management that reduce cyber risks and enhance IT operations and user experiences in the Enterprise. For Consumer, Intel® is taking the hassle out of securing your digital life. For your identity, data, passwords, and financial transactions, get protection beyond software, rooted in silicon. Trusted infrastructure is the foundation of Data Center security solutions, protecting data and users from the silicon root, up the entire stack, into the cloud. In the Internet of Things, we are providing a portfolio of hardware assisted security solutions that harden edge devices, enable communications, and deliver command and control from security management platforms.